Kids at risk: Say something or bite your tongue? In addition to being CNNHealth’s Living Well expert, Dr. Jennifer Shu is a practicing pediatrician and spokeswoman for the American Academy of Pediatrics. Today she’ll begin blogging regularly for The Chart on kids’ health. 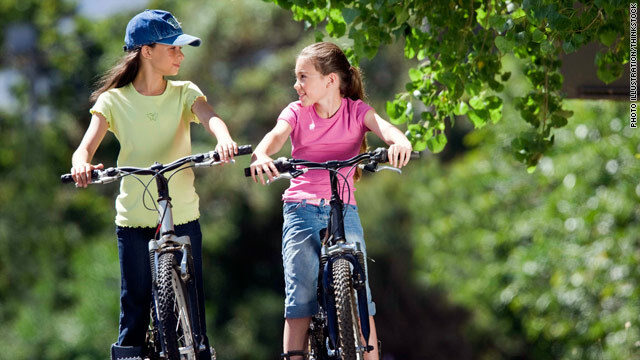 We see it all the time—the 6-year-old riding in the front seat of a car, tweens biking on a busy road without helmets, young children in the neighborhood pool while mom sits yards away talking on her cell phone. These situations make us cringe but it can be hard to know how we should react. Is it an innocent bystander’s ethical duty to approach the parent in the name of a child’s safety, or does society dictate minding one’s own business? As a pediatrician I’m constantly counseling parents about their child’s safety and well-being, from SIDS prevention to proper nutrition and routine immunizations. Our check-up checklists run the gamut, covering tobacco exposure, lead poisoning, car seats, toothbrushing, risky adolescent behaviors, and more. Late last night, the world lost an incredible woman, producer and cancer advocate when the disease took the life of Laura Ziskin after a seven-year battle. She was 61. You may not know Laura Ziskin's name, but you've seen her movies. She was the executive producer of "Pretty Woman," produced "As Good as it Gets" and all three "Spiderman" movies, and she oversaw production on the cult classic "Fight Club." She was also the first woman to ever produce the Oscar ceremony alone. When I met Laura, she was producing the "Stand Up to Cancer" telethon last September. When she sat down for an interview with Dr. Sanjay Gupta – she carved 10 minutes out of her very busy day – physically, you could see the toll cancer had taken on her body. Mentally though, she was sharp as a tack, shepherding hundreds of staffers to produce what would be a moving and informative telethon. Later that evening celebrities from George Clooney and Tony Hawk to Green Day's Billie Joe Armstrong, Neil Diamond, Dorothy Hamill, Marcia Cross and our own Dr. Gupta took the stage to show their support for the war on cancer. This was Laura's magnum opus. Laura had founded Stand Up to Cancer just three years earlier, along with newswoman Katie Couric, former Paramount Pictures executive Sherry Lansing, and several women from the Entertainment Industry Foundation. This relatively young organization has already raised more than $200 million for cancer research. That money is funneled directly to "dream teams" of doctors around the globe working on cancer treatments that could be at a patient's bedside within years, not decades. As Laura's daughter Julia once told a magazine writer, "Cancer f-–d with the wrong woman," and she was right. Laura let nothing – not even a little chemo – stand in the way of the cause. Standing up to a disease that would ultimately, just nine months later, take her life. Is a used breast pump safe? I'm eight months pregnant and plan to breastfeed. I will go back to work after a few months and am thinking about getting a heavy-duty double breast pump, but the new ones are very expensive. Is it safe to buy or rent a used one? I'm worried about the germs that might be inside the pump but can't really afford a new one. Apples are the most chemically contaminated produce, says a new report by the Environmental Working Group, a non-profit focused on public health. 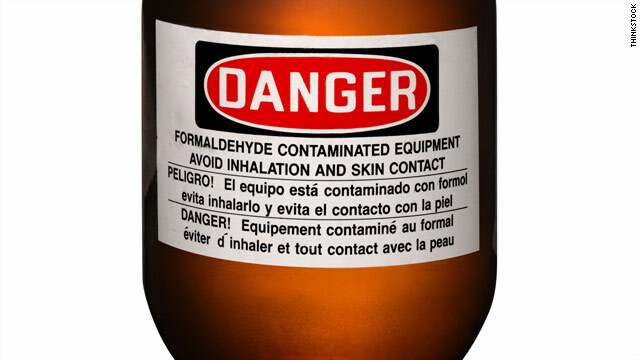 Formaldehyde, a chemical used in embalming fluid and in consumer products is known to cause cancer, according to a new report from the federal government. The 12th Report on Carcinogens, released Friday by the National Toxicology Program, officially added the chemical and several others to the list of substances known to cause cancer. The move comes after years of delays prompted by critics, including the chemical industry, who say the studies used to establish the link to cancer are not based on science. 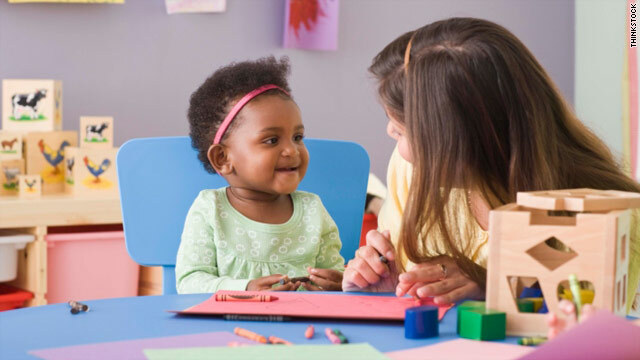 Spending time in child care may help protect children of depressed moms from developing behavioral and psychological problems, according to new research in the journal Pediatrics. Experts know that when mothers are depressed it can be difficult or challenging for them to parent and that their children often show signs of distress. Some young people act out, perhaps showing anger and aggression, others internalize their feeling taking on their mother's sadness or depression. This new study looked at more than 400 mothers and their children in Australia, and found that at age 2, as little as half a day of child care a week appears to protect infants and toddlers from exhibiting behavioral problems at age 5.